How do I change the name of the network for my LAN network. Right now it just says "Network" when I hover over the network icon in my taskbar. Although, users on wireless can see the network name (Because it inherits from my wireless router). Is there a way to fix this so that both LAN and WLAN have the same network name? Interfaces - LAN - Description? The description is named LAN for the LAN Interface. What are you referring to by "network icon in my taskbar"? Windows? I mean this. I'd like to give it a custom name. That's windows, not pfSense. If you can change it, it's probably in the windows network interface properties somewhere. Okay well when I used my Cisco router as my router, my network name while connected on LAN was the same as my SSID for my WiFi. What flavor of windows are you running - windows 7 is easy to change, 8,8.1 not so much - reg entry or group policy. Not sure on preview 10 yet haven't looked that deep into it. Go to system -> general setup and change the domain name to what you want. 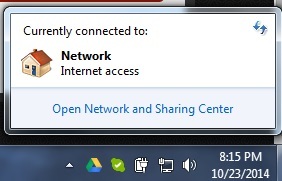 This should change the network name in Windows. This may or may not mess with your DNS settings if you are running your own domain name server so be careful, in your case it should probably be harmless. Okay, neither of those have worked. I am not a networking guru so maybe this won't do anything. The reason I am trying to change this, is because my wifi is bridged to my pfsense box. From there I have the switch built in to the cisco router (now bridged). The cisco router is also broadcasting WiFi under the original SSID, but the LAN network says "Network" instead of the SSID which it said before. I am hoping that getting them on the same network name will allow my LAN clients to communicate with my WLAN clients, because right now I cannot access anything on the WLAN computers, but the WLAN can access everything shared on LAN. The name windows calls the network its connected to again is complete meaningless nothing!! When you say bridge you mean what? Did you create bridged interfaces in pfsense? One connected to an AP?? Your cisco router is also bridged?? lets start with a basic drawing of your network - grab a napkin and crayon and take a picture with your phone if need be ;) Or you could use something like http://www.gliffy.com/ to draw a pretty picture. Since you say your wireless can access your wired, but your wired can not talk to your wireless I would guess your not really on any sort of AP, or router being used an AP but more a typical nat router..
To use any soho wifi router as just an access point you turn off its dhcp server, connect a lan port to your network and shazam there you go AP in 20 seconds with 1 click of disable dhcp server on the thing. I would disagree a little. The name that Windows calls the network is actually your domain name. Dylan when you change the domain in pfsense and apply the setting you will have to release and renew your ip address to see the change. Windows may think that you are connected to a new network so make sure that you set your firewall settings appropriately (Home, Work, public place). This above I do agree with. I think if you connect your access point to your network in a true access point manner instead of using the Nat feature of your AP the changes will be a lot easier. If you make a diagram of your network we can make a more optimal design if you are up for it. Here's a quick map I drew up. Let me know if you need more. "I would disagree a little. The name that Windows calls the network is actually your domain name. " No quite often that is not even close - windows will name the network based upon SSID if wireless, and other factors if wired. While sure it can and sometimes uses a domain name of the network - I would sy it fails in this more than it uses it for sure. And again even if it named it your local domain - that has nothing to do with the actual AD the computer might be in, or what it uses for suffix search and what domain name you may have assigned to a connection. You can name it whatever you want - it has no effect on use of the machine, name resolution or access to other machines be it in a AD or not. So you only have 1 cisco router - what is the make and model. Virtual switch?? You mean a vlan? 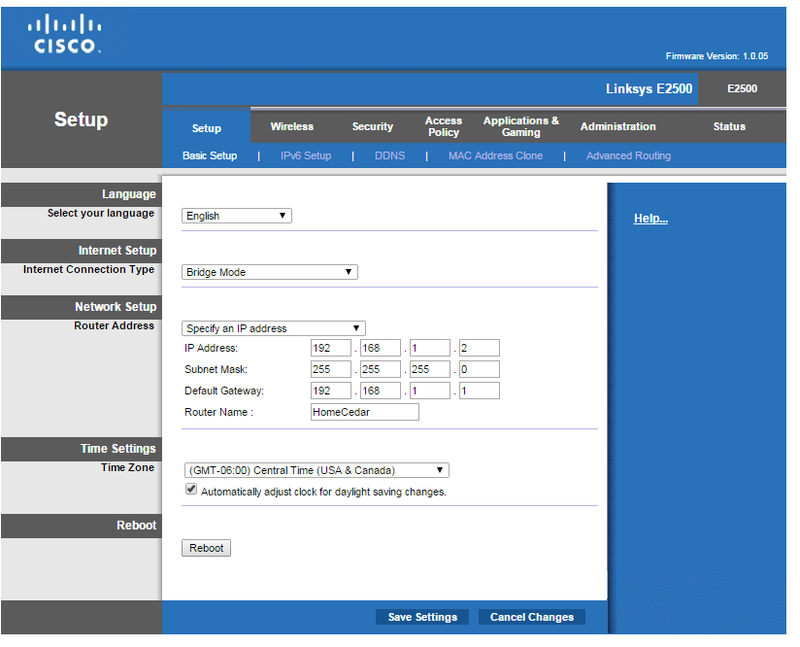 What is the configuration you have setup on this cisco device, please post its make and model number. You have no other AP envolved? By virtual switch I mean that there are 4 ports built into the back of the Cisco router. It is a Cisco E2500 router. Assuming AP means access point, then no, only Cisco router which I have in bridge mode. 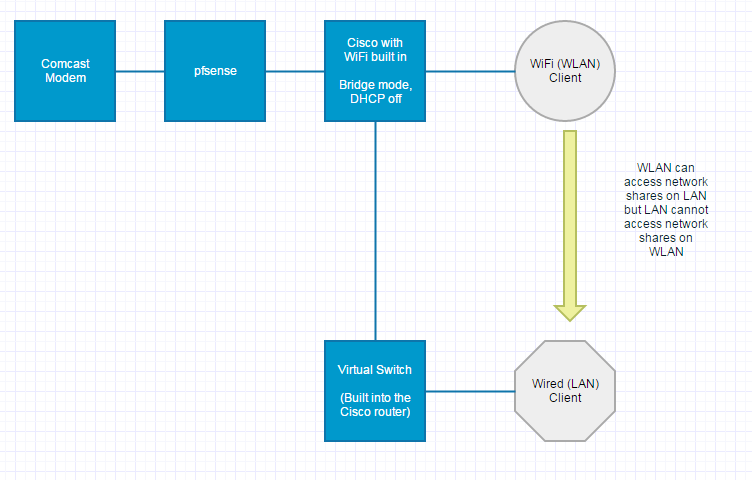 Bridge mode on the cisco router just passes DHCP and all that good stuff onto pfsense. I'm just using it for WiFi. If the segment you have labeled Wired (LAN) Client cannot talk to the segment you have labeled WiFi (WLAN) Client there is nothing in pfSense that can be changed to make that happen. Whatever is keeping that communication from happening is in your Cisco device. You need to do whatever you need to to bridge the ethernet ports with the SSID with the port connected to pfSense so there is no layer 3 going on. And if you have pfSense plugged into the WAN/Internet port plug it into a LAN port instead. Okay, I have figured out that on one of the computers on WLAN had an antivirus firewall that was blocking external communication, even from the same network. I just need to find the setting to "trust the network". Now back to my original question. Is there any possible way to "name the network". I realize that's not the technical term, but it'd be nice to have them all say the same network name. You might try a windows forum. I already posted how you can change the name for windows 7, and the reg key you modify for the windows 8+ machines - or can be set with group policy. I'm not sure I would go that far. The network name is based on several factors but I'm not sure if it is published. Like Johnpoz stated sometime it's based on your domain name, other times the SSID, and any other information it uses (Maybe DNS suffix). There seems to be a behavior change from Windows 7 to Windows 8 and even Windows 10 (Technical Preview) Where once the network is named you can't change it without going to the command line or in the registery. In Windows 7 all you had to do is right click on the network name and erase the profiles or even rename them. But in Windows 8 and up you have to use the netsh command. I'm sure there are other ways as people have indicated in this thread. I wouldn't go as far as to say that the question is invalid. Even at its most basic use, PfSense can be a turn key firewall for the beginner and even more for the advanced user. Let's remember we were all new at one time. I wouldn't call myself new to networking or systems administration in any way. I've been working with computers like this since I can remember. I think we should all remember that we don't know everything about everything, rather than assume I'm a beginner because I don't understand where windows get's it's network name.. Thank you all for the help though. Point well made. Sorry if I offended.